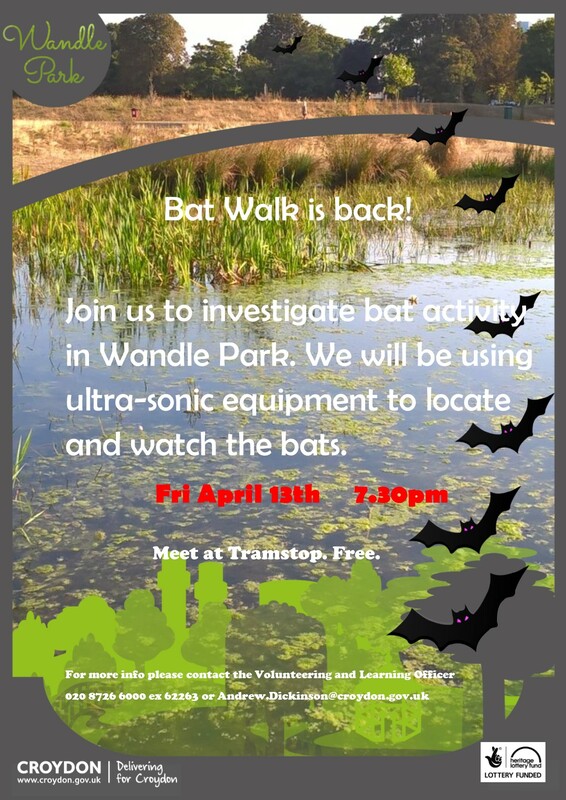 Join us to investigate bat activity in Wandle Park. We will be using ultra-sonic equipment to locate and watch the bats. Join us for this popular free wreath making workshop, followed this year by refreshments and carol singing. Donations welcome. 2.30pm (approx) for refreshments and carol singing, with live harmonium accompaniment! Get in the festive mood and enjoy some seasonal cheer. Nick Barnett spotted this Little Egret (a small white heron) looking for fish in the pond on Monday (6th Nov). Click here for more information and a video on identifying the Little Egret, from the British Trust for Ornithology (BTO). 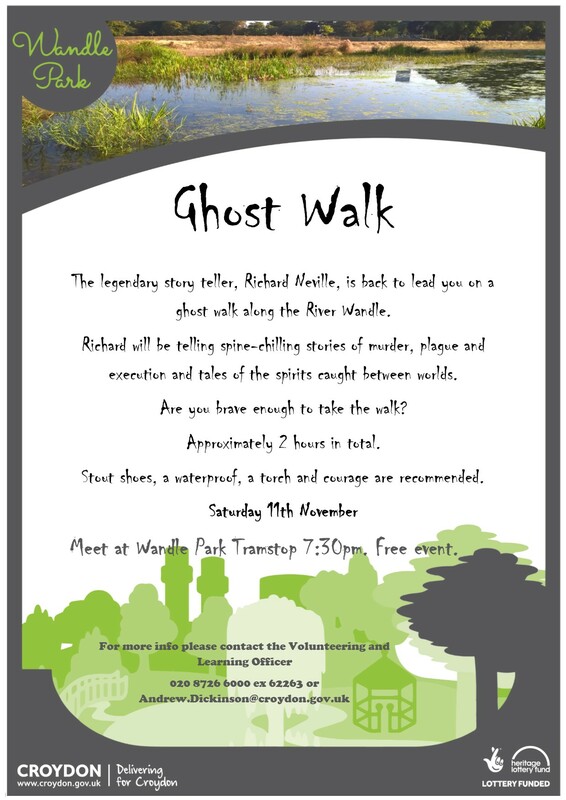 Ghost Walk is back this Saturday 11th November (2017). We’ve tamed it down a bit as some of the feedback was that some of the true stories were ‘too scary’. Richard Neville will be our guide and story teller.